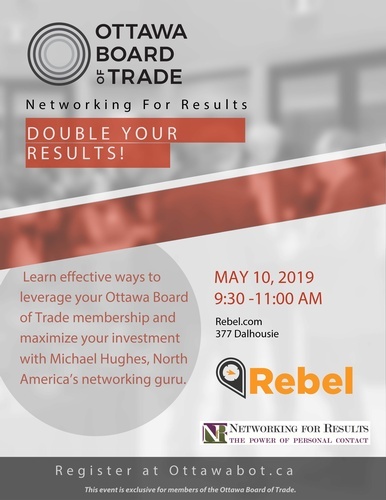 Networking for Results - Double Your Board of Trade Results! Name: Networking for Results - Double Your Board of Trade Results! Are you looking for more ways to better leverage your Ottawa Board of Trade membership? Are you frustrated by your inability to build your business through the Ottawa Board of Trade? Are you wrestling with how to maximize your Board of Trade investment? 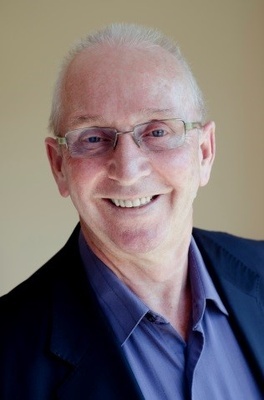 If “yes” is the answer, you need to attend the next Ottawa Board of Trade Beyond the Business Card Professional Development Series event presented by North America’s Networking Guru (and Past Ottawa Chamber Chair), Michael Hughes. As part of this event, Michael will reveal the personal marketing strategies he created, implemented and refined to dramatically drive his visibility and credibility as he leveraged the power and potential of the Board of Trade network. The secret strategy that will skyrocket your visibility overnight. 2 little‐known networking tactics that accelerate credibility and create new opportunities. 3 overlooked Chamber resources that have a dramatic impact on results. 5 proven tactics to attract clients and build a network of lead‐generating Chamber connections. By attending this session you will discover a wealth of Chamber of Commerce business‐building ideas and opportunities. This program includes real‐time interactions to help you start implementing your new ideas and insights immediately. Michael specializes in helping professionals increase results by improving their ability to develop and leverage relationships. Building on his successful 23‐year corporate career, he has invested the last eighteen years relentlessly researching networking as a business strategy. His client list includes names like Dell, Ottawa Senators Sports & Entertainment, Scotiabank, Staples, Sunlife, Cooperators, Shaw Centre, Pepsico, Workopolis and the University of Ottawa Telfer EMBA Program.